A 90-year-old cinema is reopening its doors after a long-running community campaign. 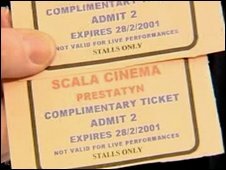 The Scala in Prestatyn, Denbighshire, was forced to close in December 2000 under the weight of repair bills. But its screens will come to life again on Friday, after £3.5m was spent turning it into an arts centre. Among those attending the celebrations will be Pat Smith, who has waited eight years to use cinema tickets she won in a raffle. “My granddaughter came home from school with some raffle tickets, which I bought. I won two tickets to admit me into the Scala cinema,” explained Mrs Smith. Her original tickets were valid until 2001, but the theatre shut its doors before she had chance to use them. Her granddaughter is now 16, but on this special occasion the new cinema says it will honour the old tickets. The original Scala first opened in 1913, after taking over the town hall in Prestatyn and could hold 400 people in its 1940s heydays. The new arts complex boasts two digital film screen theatres, each seating 150 people, an IT media centre, a cafe and bar. 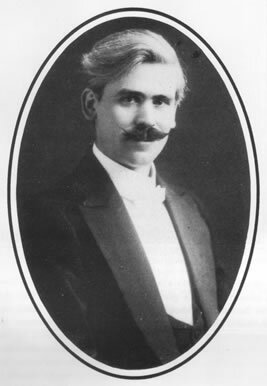 The success of the project is also a tribute to dedicated members of the Prestatyn community who refused to accept that the Scala would stay shut. “When they threatened the fact that it was going to be disposed of, the people of the town were in uproar,” recalled Sandra Pitt, chairperson of Friends of Scala. “We decided to set up a small group to get it back, which is what we have done. “We thought they would just do up the old cinema and we would have it safe again. “But now we’ve got the ‘wow’ factor. It’s not just a cinema and theatre, there’s the IT media room, the cafe bar – it’s a fantastic facility for such a small town. The whole project has been funded by the assembly government, the Arts Council for Wales, the Foundation for Sports and the Arts, the UK Film Council, and both the town and county council. On Friday’s opening night, the cinema has decided to show the Oscar-nominated Disney animation Bolt, and it will also be showing the award-winning Slumdog Millionaire in its first week. Of course, one of the first in the queue will be Mrs Smith, who is delighted to finally use her tickets won in the raffle. “To see it close was devastating, and to see it open will be nice. People have fought hard to get it open, and we need to use it,” she added. Source: View the original article with video interview at the BBC News website.